On Christmas Eve’s Day, a message was sent out on Facebook. Not from us, but it did arrived on our president’s and other employee’s wall. The message was brief and to the point–apparently a local shelter was promised some vital items for the 30 families that were homeless and that assistance never arrived. This meant that 130 people were without a dinner and other necessities on Christmas Eve. It hardly could’ve been a worse time, since most stores had closed early and would not re-open for two full days. The president of the used lockers division, Dustin Jorgenson, his wife Senja and dedicated Jorgenson Industrial Companies Division 10 employee Mike Dark tracked down one of the very, very few food joints in town where they could find a hot meal in a minute’s notice. 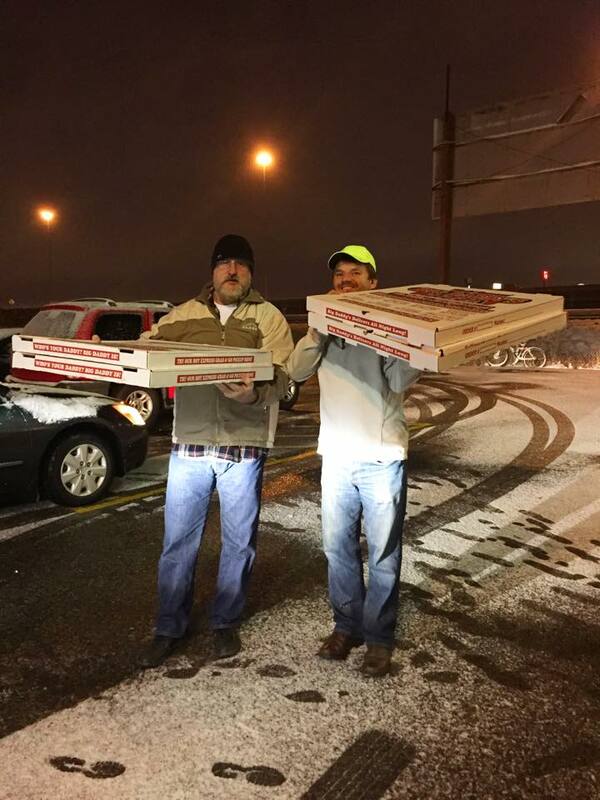 Together and using their own funds, they purchased four huge 26″ pizzas and several crates of ice cream bars so the 30 families seeking refuge in the Midvale Shelter could have a warm meal and dessert. “It was a sobering moment when we arrived with the pizza and ice cream and suddenly everyone in this large room where cots and beds were set up slowly gathered around us,” remembers Mike Dark. “It touched my heart to see these families who were so grateful for the things we had brought to them–things you and I normally take for granted. 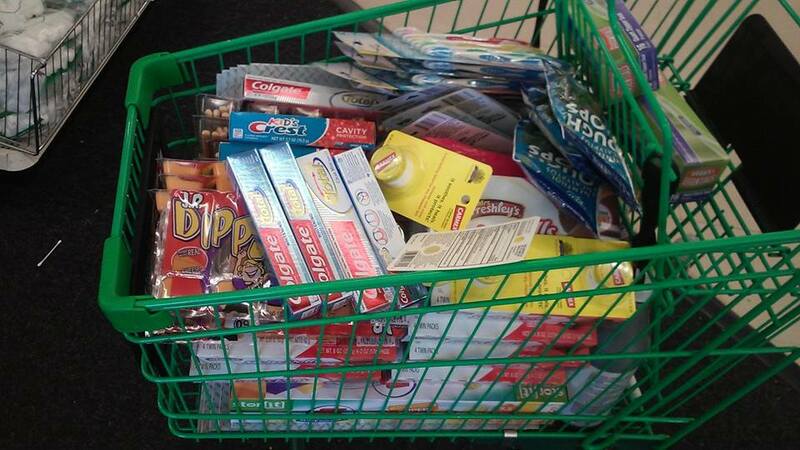 Not only did the used lockers division members buy food, but they found a store that was open and Team Jorgenson purchased two shopping carts full of necessities like toothpaste, toothbrushes, cough drops, razors, shaving cream, lip balm, children’s cough medicine, baby food, baby cereals, bottle, pacifiers, socks, snacks, coloring books and crayons for all the children. One thing that we noticed was that in this shelter there was not place for families to lock up the small amount of valuables they had. We thought that used lockers would work well in an application like this. I mean with so many people there in such a large, open space, it would only make sense for the facility to consider some used lockers so that visiting families can have a sense of security when staying at a shelter. Of course there are many stories out there were used lockers have been used in a homeless setting. 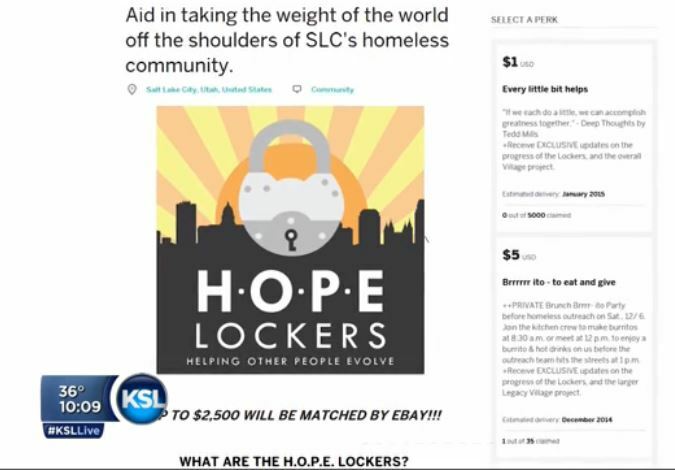 Here is a recent story from KSL where used lockers were donated to a homeless shelter and it appears as though it is a good fit. CLICK HERE for the entire KSL story. We’d like to let our used lockers and Jorgenson Industrial Companies employees know we appreciate them and taking the time to make a true difference in the community. Hopefully this story inspires you or your company to go out and make a difference somewhere in your community as well!